Welcome undeniable charm and character into your home with the warming wood tones and handsome grain of our Dijon Walnut Romano walk in wardrobe. 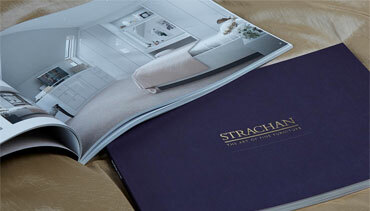 Strachan’s exquisitely detailed designs will keep you perfectly and effortlessly organised. 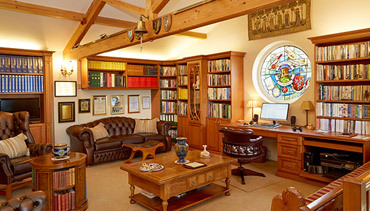 Our bespoke walk in wardrobes make it easy to find just what you’re looking for. The clever, contemporary design features include pull down hanging rails and smoothly gliding trays to stow away your accessories and shoe collection out of sight. 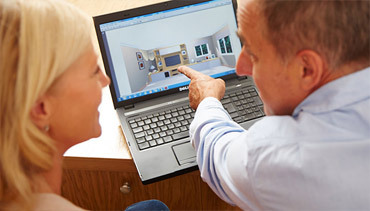 Our clever designs maximise your vertical space, giving you more room to store and display your clothes and accessories. 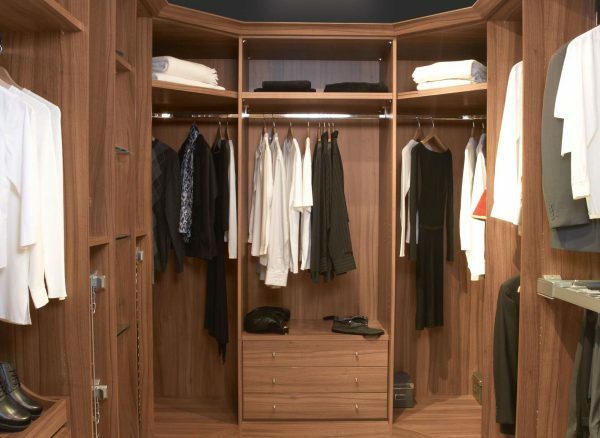 We can include full depth hanging space in every corner of your walk in wardrobe configuration, meaning your clothes are kept in perfect condition without an inch of space being wasted. 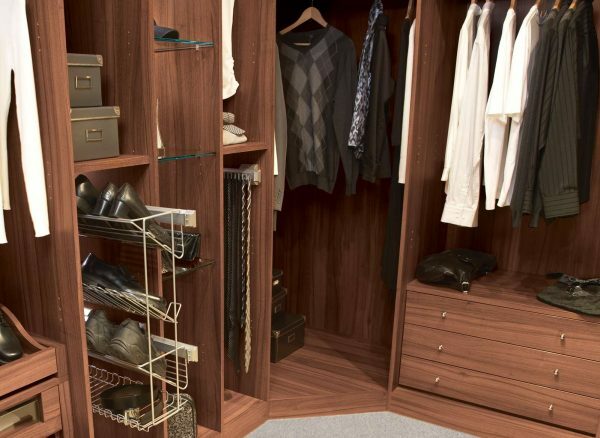 Along with our spacious hanging rails, slide out racks and soft close drawers, we can create bespoke shelving units in your walk in wardrobe. These can utilise your vertical space, sitting above hanging areas and built in units, to provide the ideal place to stow away everything from hats, suitcases and seasonal pieces. 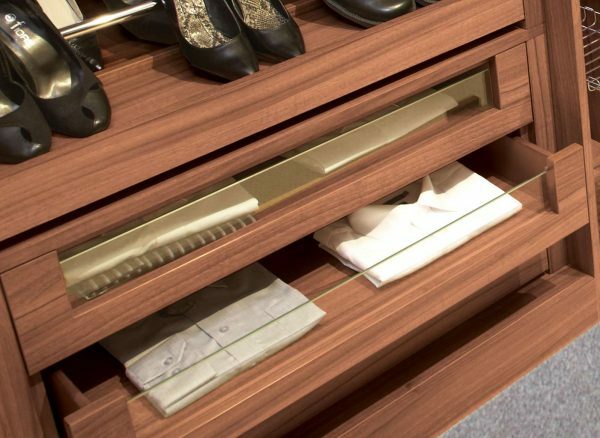 Browse your fashion collection with ease thanks to our stylish glass fronted drawers. Fitted in the precise length and depth of your choosing, our drawers will make a beautiful addition to any dressing room. They also feature a soft close function as standard, eliminating loud noises from your peaceful morning routine.